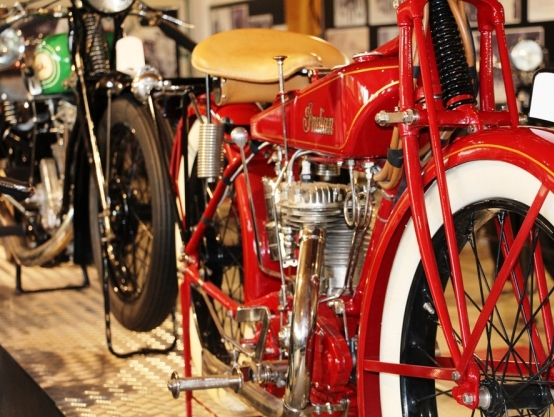 At the first floor of the museum, you will enjoy some of the models produced at the start of the 20th century fitted with gas light, like a Clement of 1902 manufactured in France or a spectacular 4 cylinders FN with a wicker side-a-car of 1914. An evolution along the mythical European brands (BSA, Norton, Triumph, Ducati,...) and some rare interesting units like a Gillet España that was used by the Spanish police and only 50 units were manufactured. 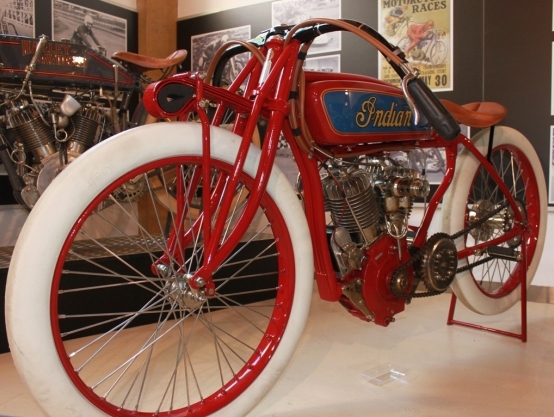 American brands are exhibited there as well, such as an Indian of 1925 or a Harley-Davidson with side-a-car used as taxi in Barcelona. We may as well highlight a section devoted to military models that proves how the various wars have served as experimentation laboratories for new technical solutions. so A lot of military models were eventually used as popular models for civil use. 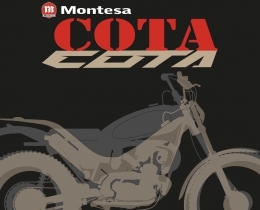 This exhibition also includes a selection of the main national brands (Montesa, Bultaco, OSSA, Derbi, Sanglas, Rieju, Lube,...) and the consequences of the Japanese brands invasion with specific examples as is the case of the Montesa-Honda created in 1986. 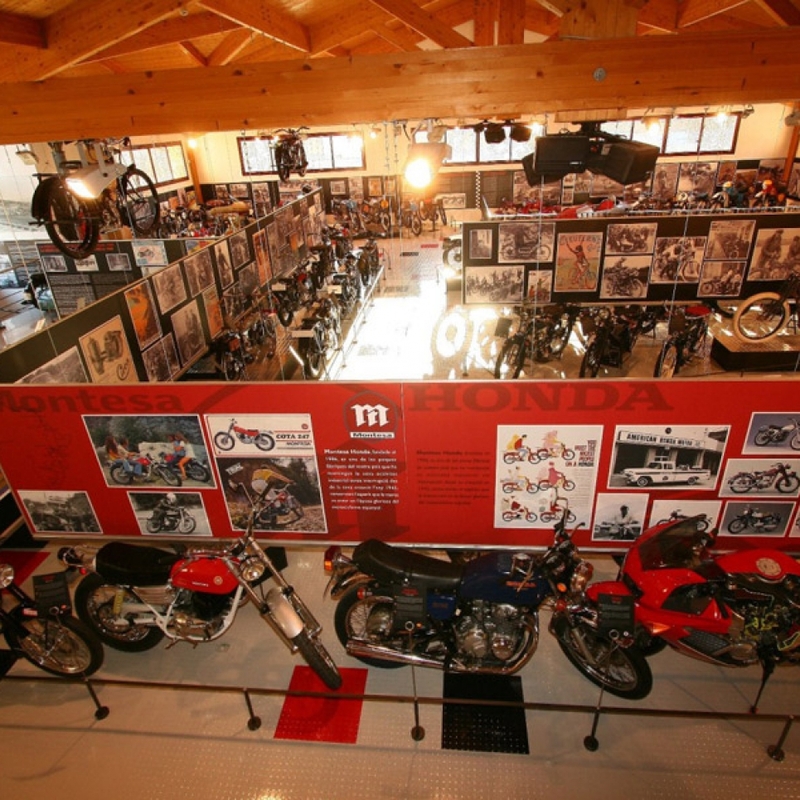 The basement floor of the Bassella Motocycle Museum is devoted to competition models, from those handcrafted prototypes at the start of the 20th century to the most sophisticated bikes of today like the Honda 125cc with which Emilio Alzamora won The World Championship in 1999. 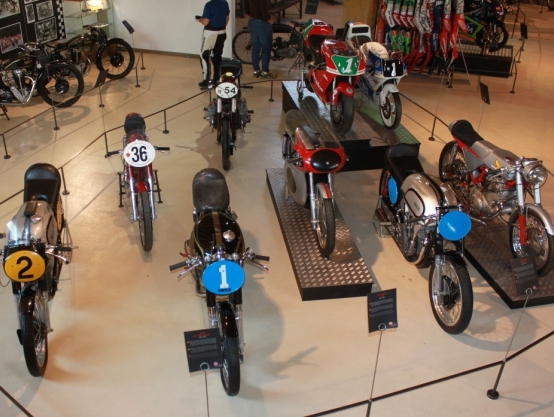 The tour includes several off road types (trial, enduro and motocross) where the national brands played a very important role during the 60s and 70s. 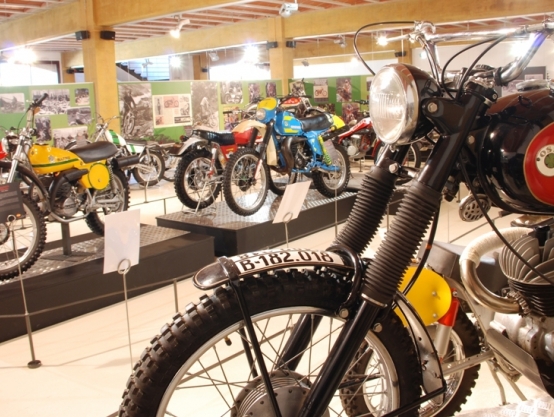 There are as well mythical models that participated in several races like the Dakar Rally or the popular endurance race 24 Hours of Montjuic, that took place in the old urban circuit of Barcelona between 1955 and 1986. Parar a tomar algo y encontrarte con esto, ¡no tiene precio! ¡Enhorabuena! Very impressive display. Love the variety! 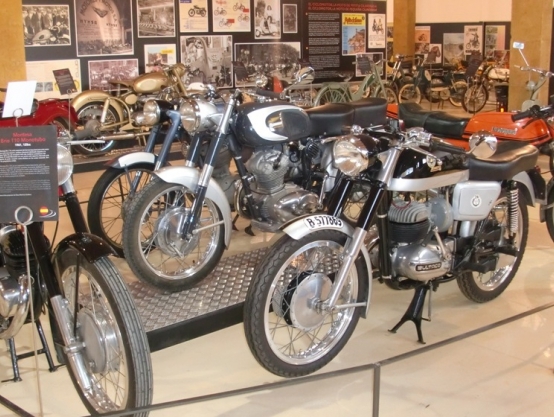 Très belle collection de motos anciennes, très ben conservées. Visite agréable et très instructive. Very nice collection, great to see such bikes on the very heart of the city. 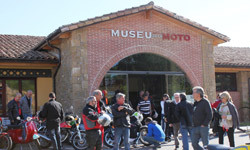 Great Museum! Really enjoyed the attention to detail! This is just too cool. Excellent story, collection, presentation and feel. Love it! I will recomend to all my friends! Well done!!! Thank you. 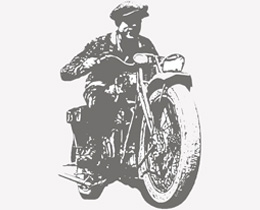 Molt interessant veure la gran indústria de motocicletes que teníem al país i que malauradament ha desaparegut. Pels que ja tenim uns anys ens recorda altres temps. Felicitats!